Jeannie setting up the LEO DUO booth at the beautiful Mission Bay Golf Course. Last weekend LEO DUO participated in our first combination arts and fashion event. This charity event, with benefits going to the San Diego Arts Foundation, brought together fashion designers, visual artists, and even musicians, for an afternoon of art all around. The dress forms displaying our custom costume work lured guests from afar, but the main attraction was our new jewelry collection. 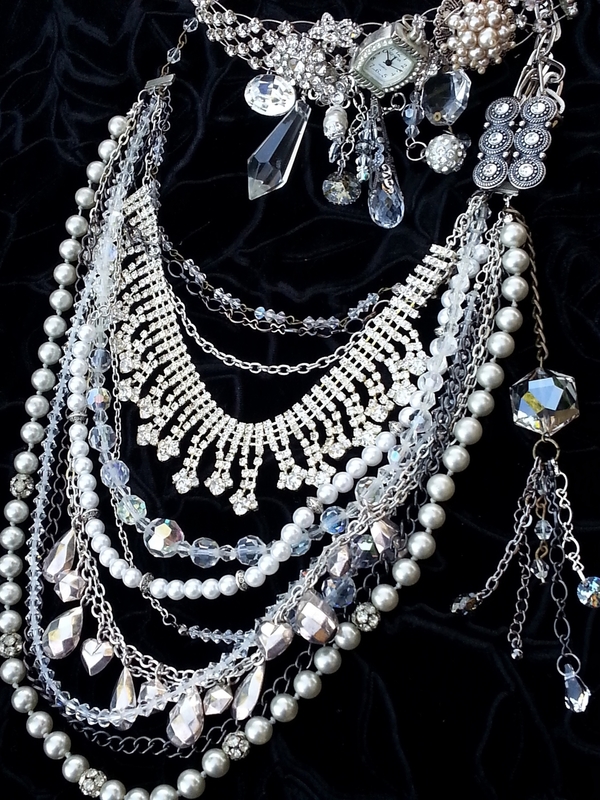 Each piece is one-of-a-kind, created with vintage elements, combined with a modern sensibility. We received such enthusiastic feedback - everyone seemed to love the looks, and could not wait to try them on. You may get your chance, too, as we will soon be putting some pieces up for sale on our website. Stay tuned! LEO DUO will be showing at the San Diego Arts Red Carpet VIP Fashion Pop Up on August 17th at Mission Bay Golf Course. As a fall preview, we will display some LEO DUO custom costume work. We will also have LEO DUO accessories for sale and pre-order. Stop by and say hello, and support the San Diego Arts!